‘Blindspotting’ marks Hamilton actor’s biggest movie involvement yet – Cinema or Cine-meh? 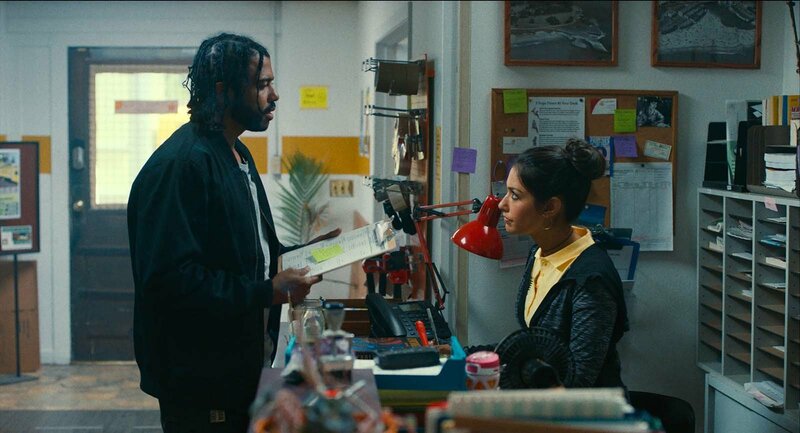 Childhood friends and Oakland natives Daveed Diggs and Rafael Casal wrote “Blindspotting” over the course of about ten years. But by 2015, nobody had purchased their script, and Diggs found his time taken up by another matter—the hit musical “Hamilton.” Diggs was one of the first to be cast in the production (in which he played the dual role of Marquis de Lafayette and Thomas Jefferson), and took his final bow in late 2016. After some television appearances (my favorite was his role in Season 3 of “Unbreakable Kimmy Schmidt”), Diggs used his newfound name recognition to help Casal get “Blindspotting” onto movie screens. 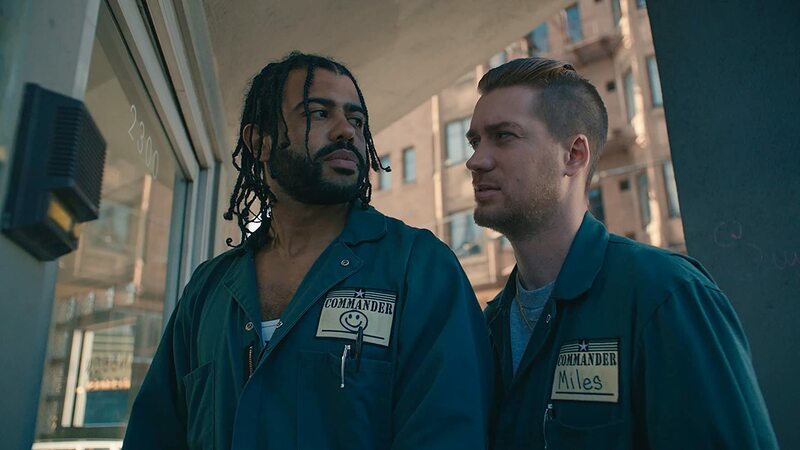 “Blindspotting” follows Collin (Diggs) and Miles (Casal) during the last few days of Collin’s parole. Their hometown of Oakland is beginning to look more and more gentrified every day, and it takes everything they can muster not to lash out against the hipster intruders. But late one night, just before his mandatory curfew, Collins witnesses a white cop (Ethan Embry) shoot a black man (Travis Parker) in the back. It challenges everything he once thought important—about his public image, his off-and-on girlfriend (Janina Gavankar), his city, and especially his hot-headed friend Miles. Diggs and Casal had seen the Bay Area portrayed onscreen many times, but each time they thought something was missing. If they hadn’t written “Blindspotting” themselves, it wouldn’t have been worth making it at all. 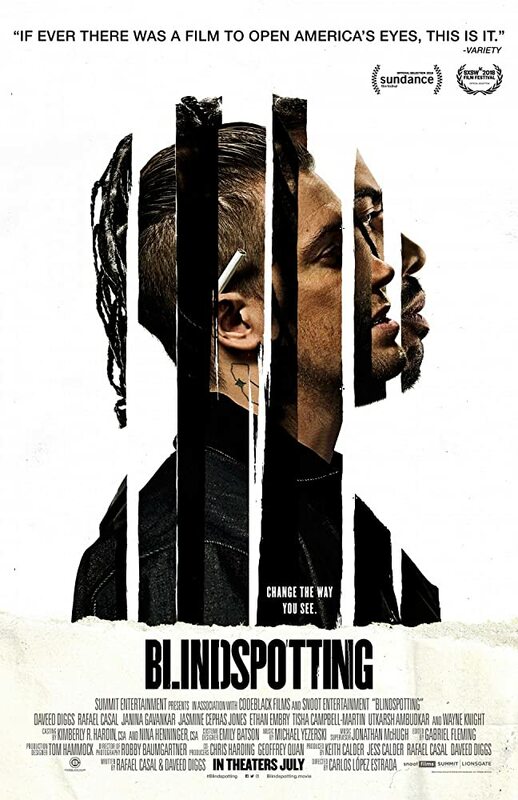 Where an exciting plot could’ve been, “Blindspotting” instead has a great setting and interesting characters to fill it. This movie is about the real Oakland, and the way Collins and Miles speaks is an important part of that. It’s all about the words, and the guys’ screenplay has The Best Words™. Plus, Rafael Casal’s on-screen debut is wildly effective. I don’t know how Casal behaves in real life, but if you told me he had once been like Miles, I would’ve believed you. His character feels like a real thing, without picking up a lot of go-to stereotypes. I suppose that’s why Diggs and Casal felt the need to write the movie themselves. “Blindspotting” is one of the year’s most important movies. It tackles themes of gentrification, race relations, and police shootings in humorous and poignant ways. 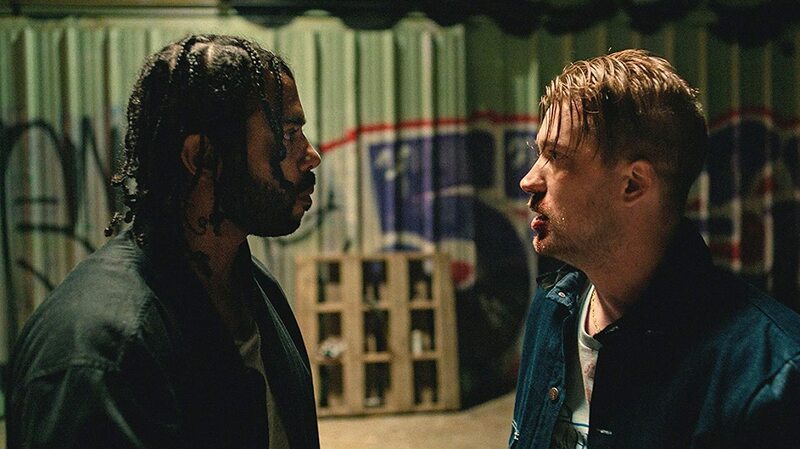 Besides Collin’s tendency to spit raps, sometimes in place of dialogue, “Blindspotting” doesn’t do too much differently than other movies that have spoken to a social issue. But that doesn’t mean this angle isn’t worth checking out.